43 photos of the third narrow gauge steam charter. It featured three locos! 0-8-0T 55-99 and 0-8-2 83-159 double-headed, and 0-6-0T 25-30 was on the rear. Tuzla, Bosnia - Hercegovina, Thurs 12 June 2014 1. 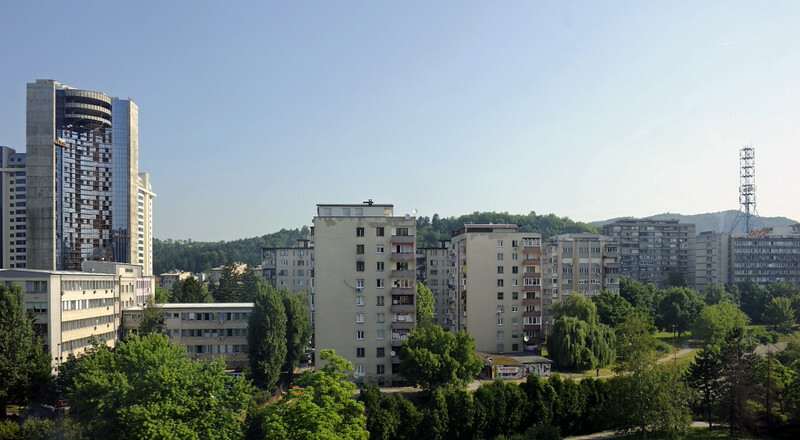 Tuzla is the third largest city in Bosnia - Hercegovina. We saw very little of it, but here are two views through windows of the Tuzla Hotel.